Ketamine is drawing intense interest in the psychiatric field after multiple studies have demonstrated it can quickly stabilize severely depressed patients. But ketamine - sometimes illicitly used for its psychedelic properties - could also impede memory and other brain functions, spurring scientists to identify new drugs that would safely replicate its antidepressant response without the unwanted side effects. A new study from the Peter O'Donnell Jr. Brain Institute has jumpstarted this effort in earnest by answering a question vital to guiding future research: What proteins in the brain does ketamine target to achieve its effects? "Now that we have a target in place, we can study the pathway and develop drugs that safely induce the antidepressant effect," said Dr. Lisa Monteggia, Professor of Neuroscience at UT Southwestern's O'Donnell Brain Institute. 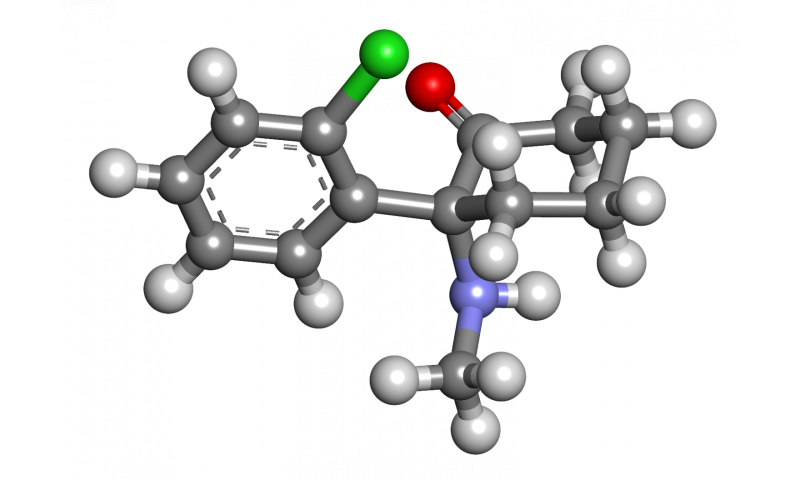 The blocking of the receptor also induces many of ketamine's hallucinogenic responses. The drug - used for decades as an anesthetic - can distort the senses and impair coordination. Studies have shown ketamine can stabilize patients within a couple of hours, compared to other antidepressants that often take a few weeks to produce a response - if a response is induced at all. "Patients are demanding ketamine, and they are willing to take the risk of potential side effects just to feel better," Dr. Monteggia said. "This demand is overriding all the questions we still have about ketamine. How often can you have an infusion? How long can it last? There are a lot of aspects regarding how ketamine acts that are still unclear." Dr. Monteggia's lab continues to answer these questions as UT Southwestern conducts two clinical trials with ketamine, including an effort to administer the drug through a nasal spray as opposed to intravenous infusions. A major national study UT Southwestern led more than a decade ago (STAR*D) yielded insight into the prevalence of the problem: Up to a third of depressed patients don't improve upon taking their first medication, and about 40 percent of people who start taking antidepressants stop taking them within three months. "Ketamine opens the door to understanding how to achieve rapid action and to stabilize people quickly. Because the (NMDA) receptor that is the target of ketamine is not involved in how other classical serotonin-based antidepressants work, our study opens up a new avenue of drug discovery," said Dr. Monteggia, who holds the Ginny and John Eulich Professorship in Autism Spectrum Disorders. Great for two of my bipolar neighbors and a few of my exs who are nuttier than squirrel turds.